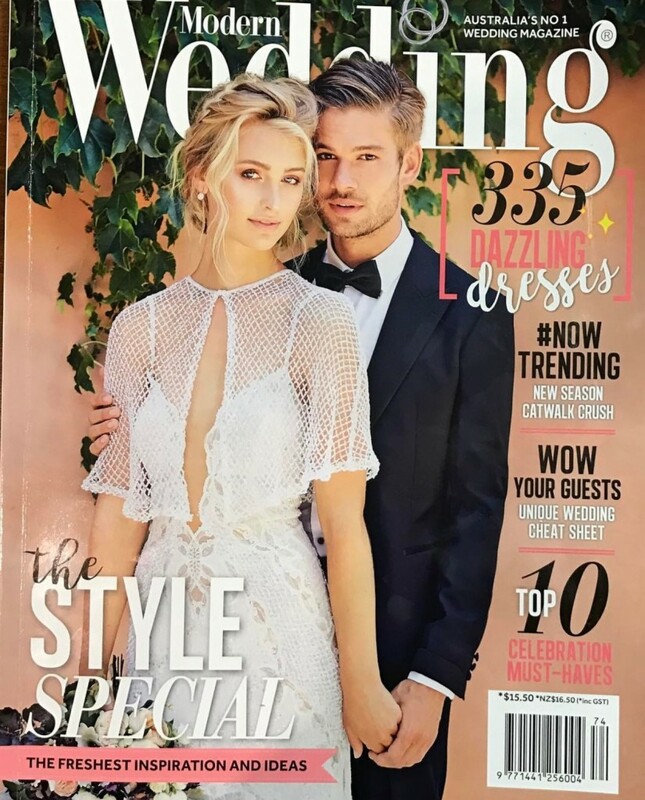 BERTA on the cover of Australia’s leading wedding magazine – Modern Wedding. March 2017 Issue. The featured dress is BERTA style 16-39 with its matching bolero, from BERTA’s Sydney stockist Brides by Francesca.